It requires for you to follow a systematic way to open a new company in Jebel Ali Free Zone. M.A.F Consultants is one of the firms that focus on every kind of business setup in UAE that helps and guides businessmen in their venture. You can know more here about the business setup in JAFZA. With numerous benefits that it has to offer to many people who enter the country, JAFZA is one of the biggest free zones in the UAE. It has attracted many people to its location. Even if it is mostly the job of business setup consultants in UAE to take care of it all for you, it is important as well to understand what professionals in the field of business setup do. This article can be helpful in understanding what it means to open a new company in Jebel Ali Free Zone. What Documents Do You Need to Open a New Company in Jebel Ali Free Zone? There is only a list of documents that you need to prepare for a smooth processing of business setup in JAFZA. What Do You Need to Know About JAFZA? This free zone was first established in 1985, expanding its operations in 1990. It is considered to have the oldest and largest business networks in the whole Middle East. It is viewed to be the fastest-growing free zone with many big names in its location to top it off. JAFZA obtained its ISO certification in 1996 that made it the first free zone in Dubai to do so. It has many accolades related to its name, attracting more and more investors because of the curiosity that rises from a really big and successful free zone. 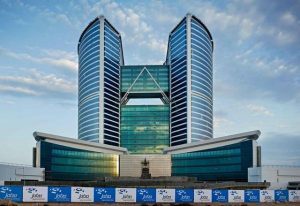 JAFZA started with 19 companies back in 1985 and now grew to have more than 8000 companies in its place. It is currently sustaining over 100,000 jobs and attracting more than 20% of the UAE’s foreign direct investment (FDI). If anything, this removes any second thoughts from anyone’s mind when it comes to forming a company in JAFZA. The success of this free zone makes people believe more in it. Its world-class facilities, top-of-the-line infrastructure, and strategic location add to the reason why people have been choosing JAFZA over any other free zone in the country. It is now perceived as one of the most sought-after free zones in the UAE. It has many things in its location that can satisfy a businessman’s needs and can meet a company’s requirements. What are the Types of Formation Allowed in JAFZA? There are four types of formation that businessmen can choose in conducting a business setup in JAFZA. Free Zone Company (FZCo)—This kind of formation needs 2–50 shareholders. They can be either individuals or companies or a combination of both. Public Listed Company (PLC)—This kind of formation needs 2–50 shareholders. They can also be either individuals or companies or a combination of both. Free Zone Establishment (FZE)—This kind of formation only needs a single shareholder. This is a limited liability company (LLC) in the free zone. Branch—This kind of formation requires the parent company to be outside JAFZA and either inside or outside the country. The branch that will be set up needs to be owned by the parent company fully, operating under the same name with the same business activities. What are the Benefits in JAFZA? One of the things that a businessman should know about a certain location before diving into setting up a business there is the benefits that location offers. The following are the benefits that JAFZA provides to business owners and investors who are interested to set up and invest in JAFZA. JAFZA’s location is considered to be a strategic selling point because of its facilities and infrastructure—state-of-the-art warehouse facilities, the most developed port in the country, comprehensive transport infrastructure. If you are looking to open a new company in Jebel Ali Free Zone, you are advised to seek the counsel and insights of business setup consultants in UAE to ensure that you are always in the right track. We can help you with this so contact us today to book a free consultation with one of our team members.